In the future, people won’t necessarily want to own cars, but they’ll need personal mobility. The mobility ecosystem can support a range of different services, but in the near-term, many of these nascent businesses face a range of operational challenges as they bid to grow and become profitable. 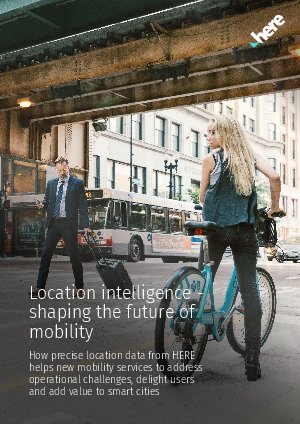 This ebook explores the fundamental needs of new mobility providers as they target business improvements, looks at their considerations as they forge key technology partnerships, and shows how HERE's Auto Mobility Operations solution can help mobility services meet those requirements.